Hello! I’m Janae Munday, a therapist serving people in the Phoenix-Scottsdale area for nearly 25 years. In that time I’ve worked with a wide range of issues and struggles that all of us face in today’s world. I provide caring therapeutic support for individuals and couples. I received my master’s degree from the University of Utah in Salt Lake City. During my studies there, I worked with children and youths at the well-respected Primary Children’s Hospital. After moving to Phoenix, I worked for several more years at Charter Psychiatric Hospital before moving into private practice under the supervision of psychiatrist Dr. Joseph Benjamin. Soon afterward I launched my own practice. Throughout my career, I have had the privilege of studying extensively and working with some of the best psychotherapists in the nation. I am proud to have presented papers on marriage counseling at the International Conference for the Advancement of Private Practice of Social Work. 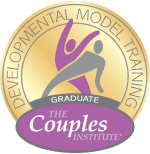 I received my primary couples therapy training at The Couples Institute, which is directed by Dr. Ellyn Bader and Dr. Pete Pearson. I am a member of the master mentor group hosted by Drs. Bader and Pearson, where I continue to learn new approaches and techniques to help couples live and work together more effectively. When I was in my early twenties, my parents went through a nasty divorce that left me reeling. One day when I was especially overwhelmed by strong emotions, a friend suggested I try psychotherapy and shared the name of a local therapist with me. At first I was dumbstruck. “I don’t need therapy!” I said to myself, but as time passed, I felt motivated to try it out. I had no idea what to expect when I made my first visit. I was terrified of looking foolish, but the therapist put me at ease. It was such a relief to be heard by someone who was committed to understanding what I was going through. Gradually, my psychotherapist helped me put the pieces of my life together in a new way. I didn’t feel alone anymore. I saw our family’s struggles in a new light and I developed new ways of managing the emotions that all children of divorce must face. I’m Janae, a psychotherapist serving individuals and couples in Phoenix, Arizona. My clients live and work in all parts of the city, including North Central, Biltmore and Uptown, as well as the surrounding areas of Scottsdale, Arcadia, Paradise Valley, Moon Valley and McCormick Ranch. With nearly 25 years of experience, I am ready to help you.